[XPB-MRFPX-PERF] Our Multicolored Personalized Perforated benches are ideal for marketing any business or organization. They have a thermoplastic finish with 11 gauge steel. 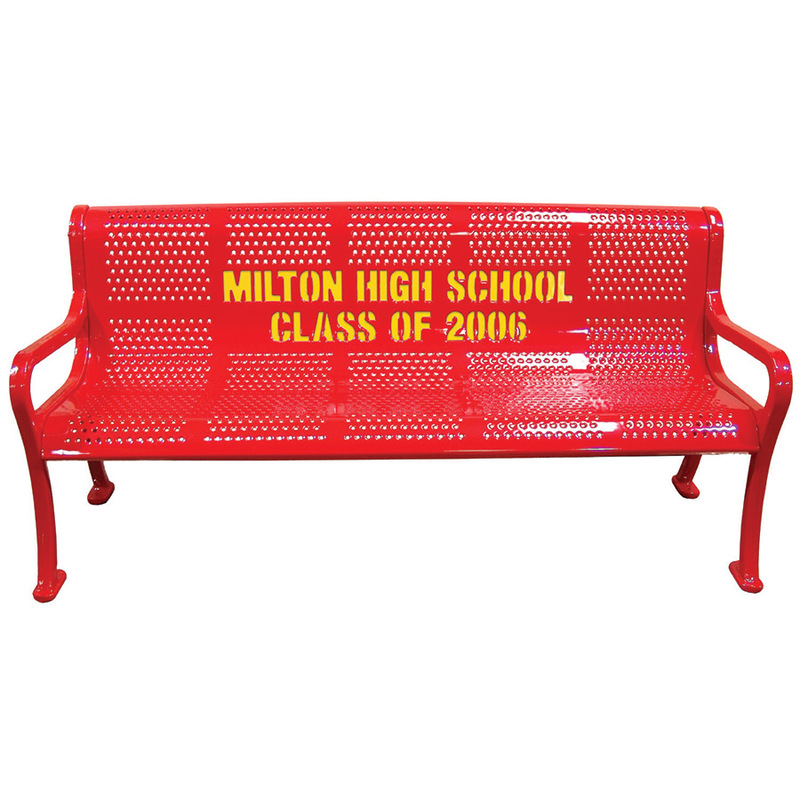 Customized logo or words manufactured into the back of the bench and the secondary color is behind the customized logo.These benches are great Memorial or outdoor commercial park bench ads. The cast iron legs are: 1 1/2" wide by 1 1/2" thick with pre-drilled mounting holes. For shipping quotes, discount pricing, orders or questions please call our Customer Service Center at 1-877-483-9270.